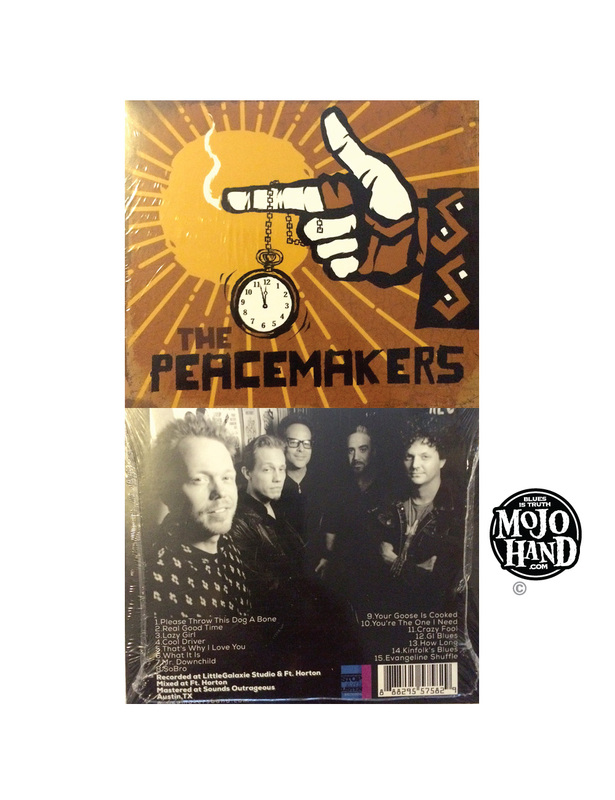 Brand new Blues CD with cover art and design by Grego, The Peacemakers blues band CD – Ships worldwide. 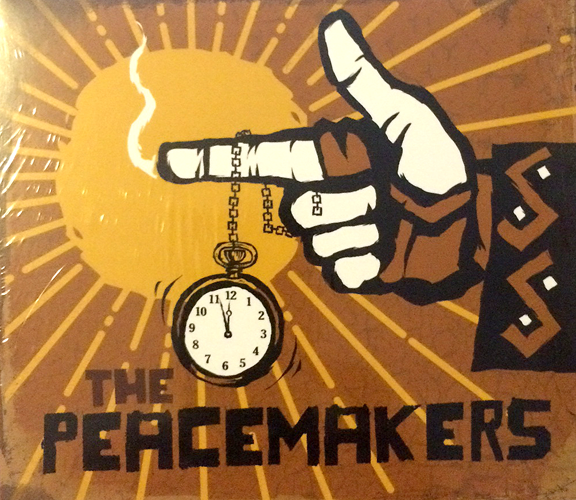 All five members of The Peacemakers are recognized around Austin and beyond for their work with a stellar list of artists. Drummer/vocalist Corey Keller and guitarist/vocalist Mike Keller have played with Marcia Ball, Warren Hood, Paul Oscher and the late Gary Primich, as well as fronting their own band, the Keller Brothers. 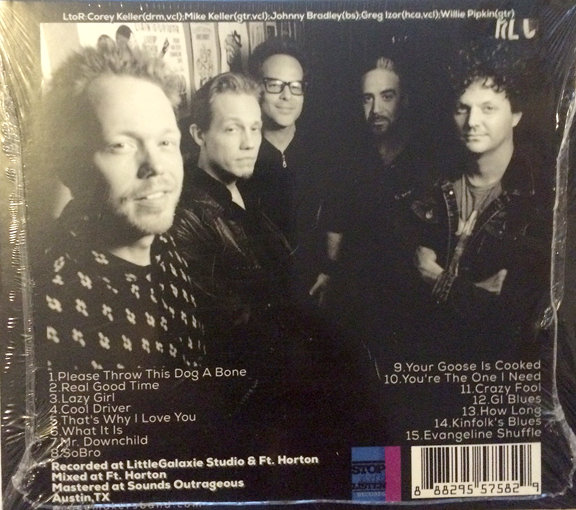 Mike, who produced the album, also worked with the Fabulous Thunderbirds, Doyle Bramhall and Double Trouble. Corey played with the late Nick Curran. They also perform with Pipkin in harp player/vocalist Izor’s band, the Box Kickers. And Izor carried on for his hero Sam Myers in Anson Funderburgh & the Rockets. Guitarist Pipkin’s credits also include the South Austin Jug Band, Warren Hood, Emily Gimble, Toni Price, Tameca Jones and the Little Elmore Reed Blues Band (which also featured contributions from Izor and Mike Keller). And bassist Bradley has spent the last several years traveling around the globe with Gary Clark Jr. He’s also performed with Funderburgh and Dallas band Mike Morgan & the Crawl.